Have you ever read a horrific story of child abuse and wondered what to do? Instead of passive despair, let the tragic incident serve as a galvanizing call to action for us all to commit to ending abuse and securing the safety and future of every child in Coconino County. We can make a difference when we all become advocates for children. CASA of Coconino County invites you to join us for the Best for Babies Foster Parent Training. This will be presented by Meghan Hays-Davis, MAS IMH-E, in a three hour training and aims to increase your knowledge of the needs of young children in foster care through an interactive, discussion based format using real time case examples and relationship based interventions. The training will be held on July 28, 2017 from 9:00am-1:00pm at the Juvenile Court Center. You are invited to join us for a casual conversation about the Court Appointed Special Advocates (CASA) Program. Come learn how you can have a lifelong impact on a child in foster care in Coconino County. CASA volunteers are everyday people, appointed by a judge to review a case of abuse or neglect. Volunteers meet with the children invovled in the case and become an integral part of the court team, ultimately reporting back to the judge with vital information about the case. 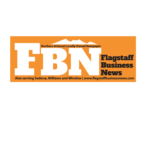 CASAs are desperately needed in Coconino County! CASA volunteers will stay with children who are victims of abuse or neglect until the child is placed in a safe, permanent home. For many of these children, CASA volunteers are the only constant adult presence in their life at the time. 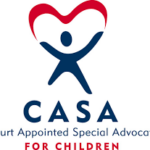 Court Appointed Special Advocates (CASA) volunteers are needed in your community! Celebrate Youth Day is just around the corner. This annual event, hosted by the local Citizens Against Substance Abuse (CASA) will be held Saturday, January 25th at the Flagstaff Mall. CASA is now accepting registrations from agencies wanting to participate.